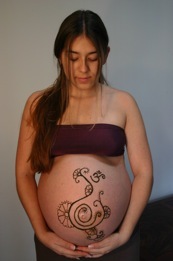 A belly cast is a beautiful way to capture forever the special bond between mother and baby (or babies!) growing within. It is a nod to the art that went into creating the babies themselves; and a physical, three dimensional treasure that will bring back memories like no photo can. It is constructed of high quality, medical grade, plaster casting strips that are wetted and contoured to the mother’s body. The strips dry in the shape of the body, and the cast can then be easily removed and turned into a unique work of art. The process of casting your belly can take anywhere from 2-4 hours and it can be done at the comfort of your own home or at mine. 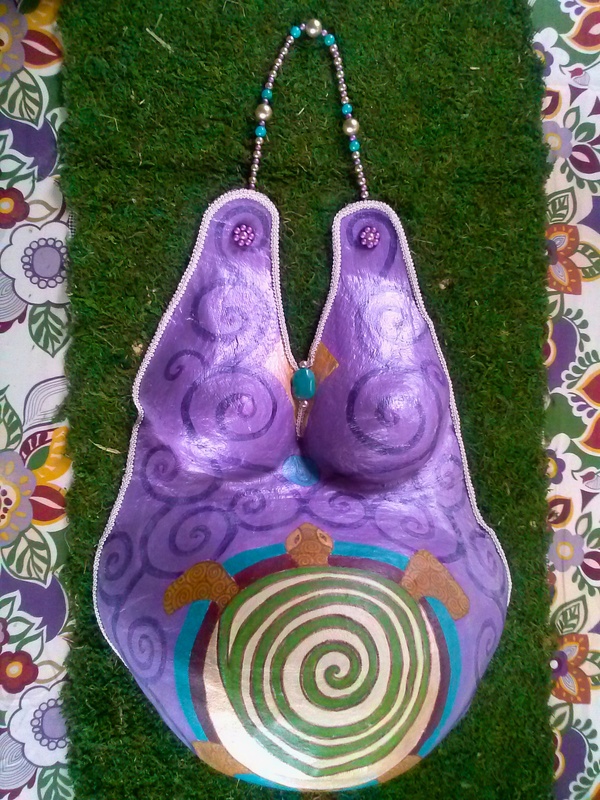 A belly cast can be decorated in infinite ways, and many women choose to have it customized to match their homes or babies’ nursery decor so that it can be hung on a wall, displayed for years to come. Some women like lining the inside of their their belly cast with a soft and cushiony fabric such as goatskin to use it as a bassinet in the first few days postpartum. If you have any further questions or to book your Belly Casting session, please contact Mother NaturAle!